These look wonderful! I love to freeze rolls to have on hand for any dinner. At what point in the process did you freeze - after the last rise? After the egg wash? I freezed after the last rise. No egg wash. I am hoping they turn out well when I cook them again! Wow Ally! Those turned out so beautifully! They look divine. Yum, these look wonderful Ally! 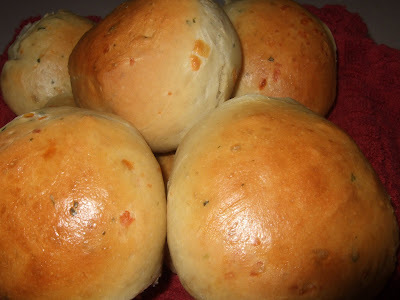 Nothing better than homemade rolls. I love bread! I will have to try these!